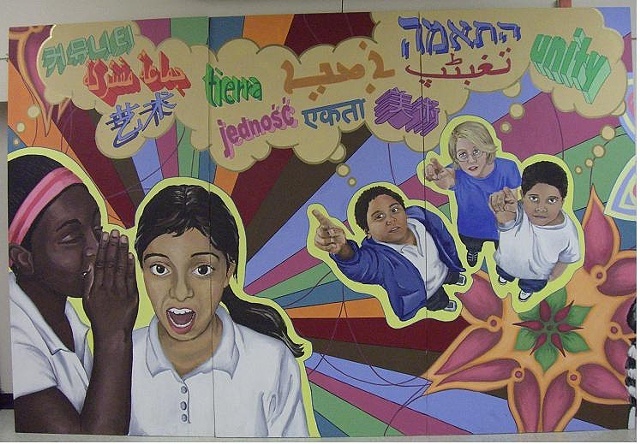 This is the community mural project we completed in Fall 07. 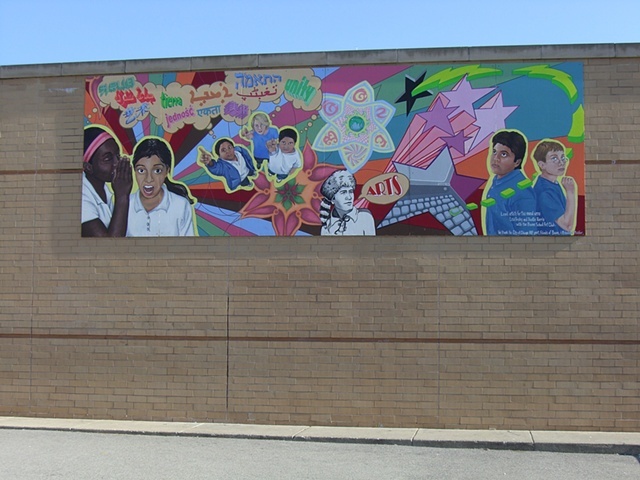 We were awarded a Neighborhood Arts Program (NAP) grant from the City of Chicago's Cultural Affairs Department to conduct a playground beautification project at Boone Elementary School in West Rogers Park. 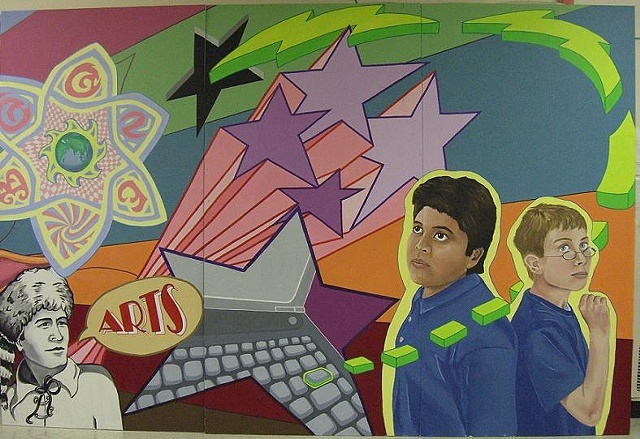 In conjunction with the school's Art Club, we created mural for the outside of the school, celebrating the school's values of the arts, technology, and cultural diversity. 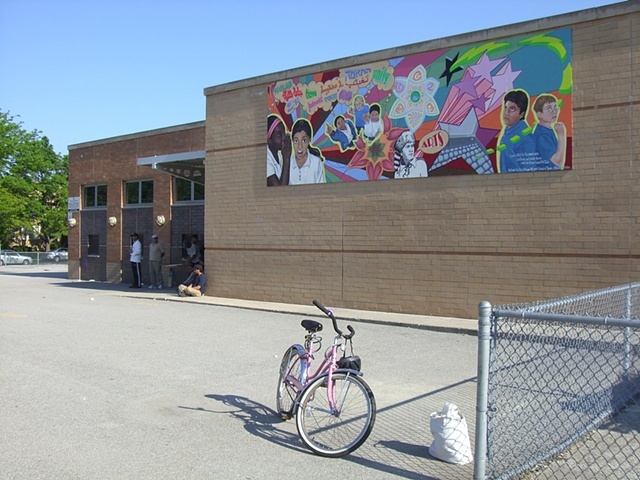 Painting was completed in by the end of 2007, and it was installed in spring 2008.